Easy Finance for you Car, Personal or Business Expenses. Thoroughly recommend Ron. 5 stars !! 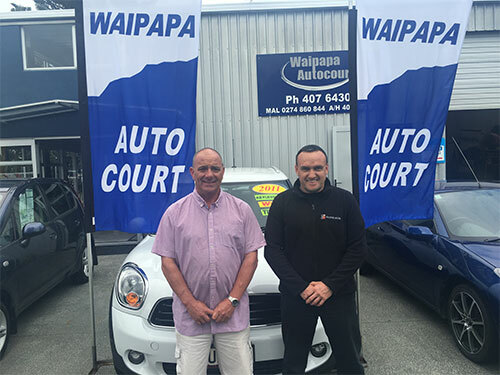 Ron leads the Waipapa Autocourt team. With vast experience in car sales, a lot with Ford and Isuzu, he has a huge following and is a professional to deal with. In his spare time he is a passionate sport fisherman at home on the sea and follows his son’s car racing career. Merv is well known in the Kaeo area and is a great family man. He can turn his hand to many things – from car detailing, servicing and fitting accessories. But his first love is car sales. Very easy to get on with, have a chat with Merv to see how he can sort out your vehicle needs. Chris is a professional car groomer and absolutely dedicated to detailing cars. He is an avid Warrior fan, passionate about F1 and walks his 2 dogs twice daily.